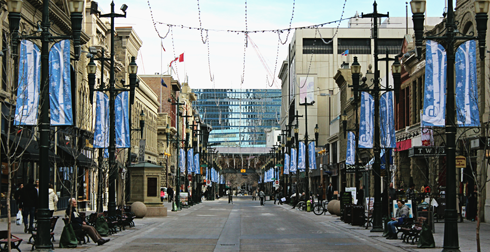 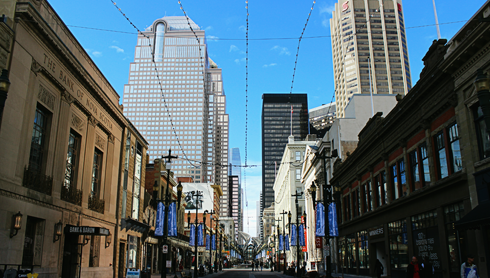 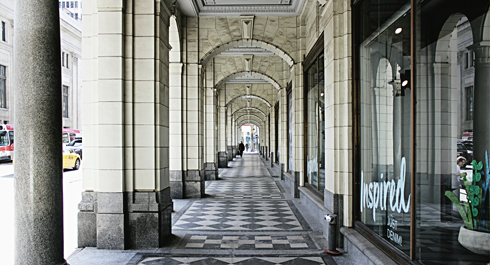 Stephen Avenue is a popular pedestrian mall located in downtown Calgary, Alberta. 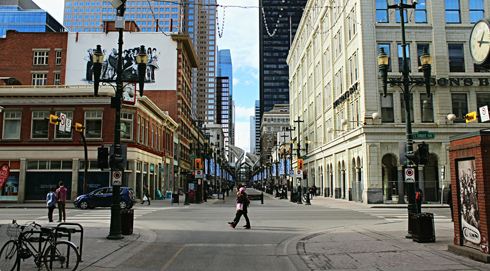 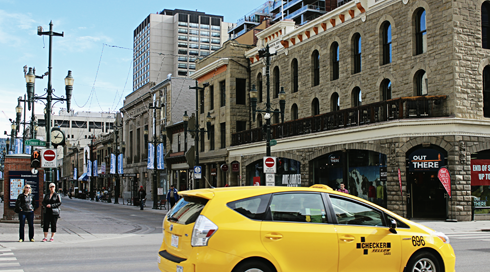 Featuring a variety of restaurants, pubs, retail and commercial spaces, Stephen Avenue is most notable for its high concentration of historic buildings dating back to the early 20th century. 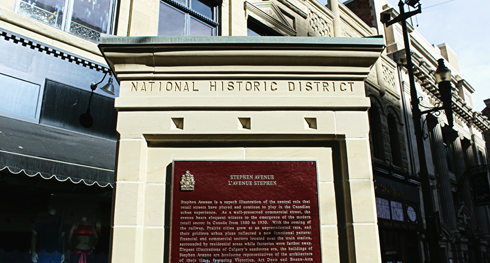 In fact, the avenue was designated a National Historic Site of Canada in 2002 for this very reason. 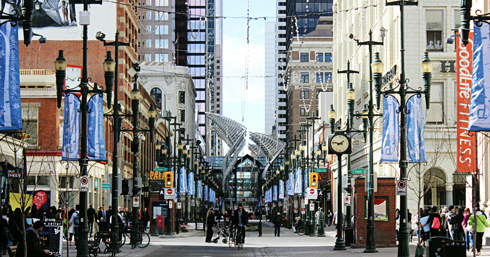 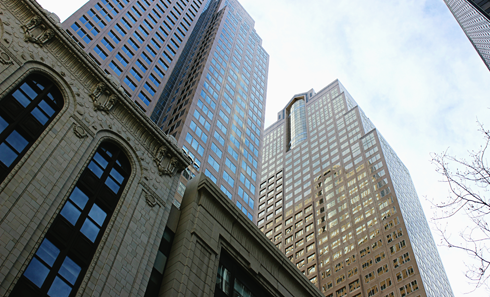 Stephen Avenue is populated by landmarks such as the Hudson's Bay Department Store, the Core Shopping Centre, Bankers Hall, Scotia Centre, the Telus Convention Centre, Glenbow Museum, Flames Central, and Olympic Plaza. 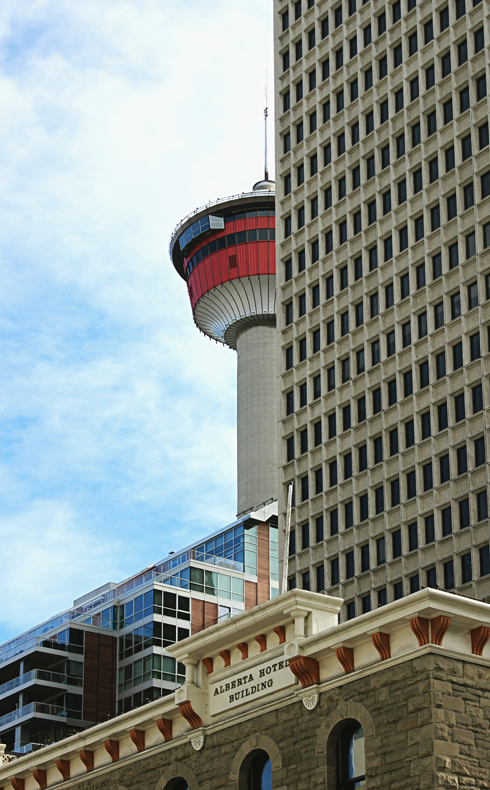 Even the iconic Calgary Tower is just a block over. 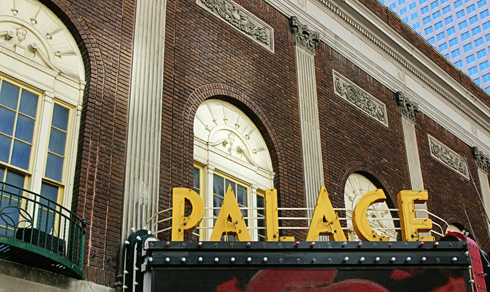 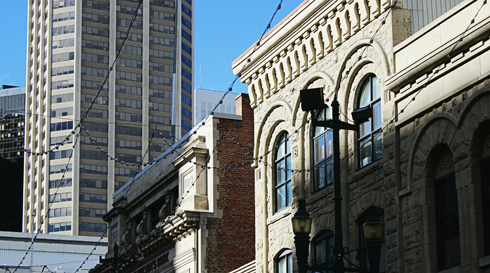 There's no denying the vibrant and eclectic ambiance found in this part of Calgary. 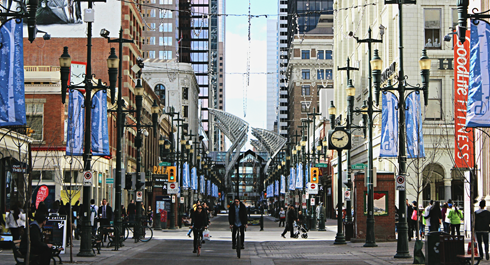 Stephen Avenue's close proximity to the train tracks is one of the main reasons for its early success, and why it's had such an interesting evolution. 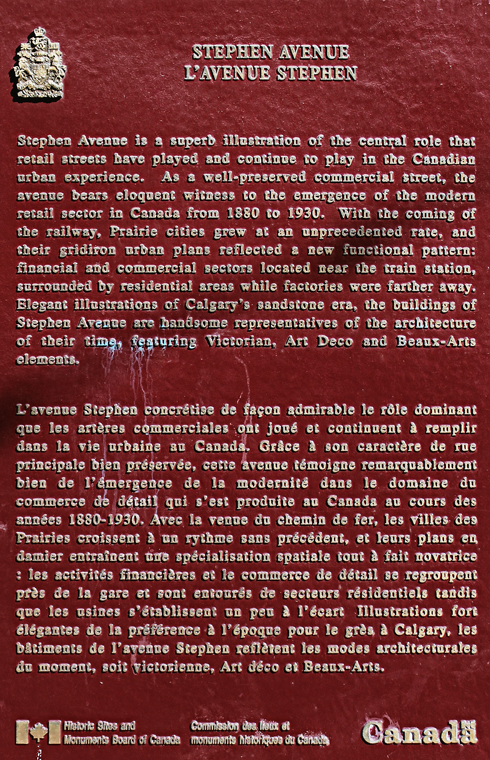 The name of the avenue actually comes from George Stephen, who was the first president of the Canadian Pacific Railway. 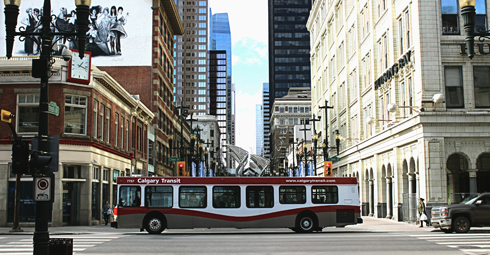 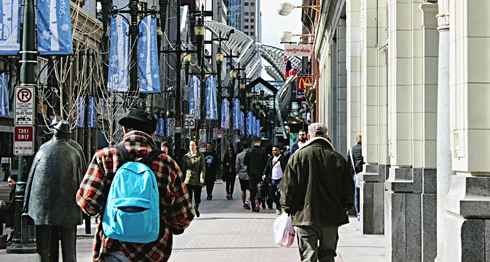 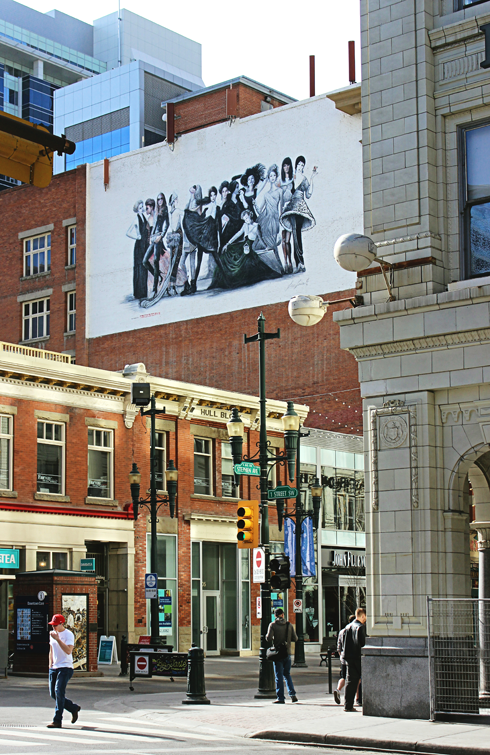 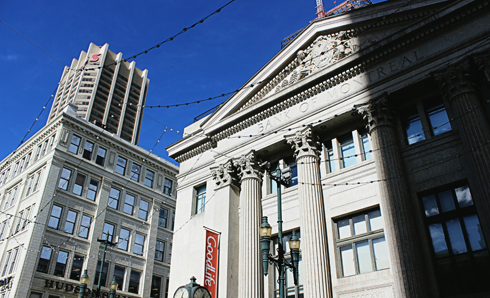 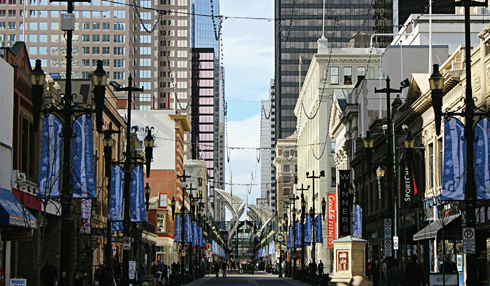 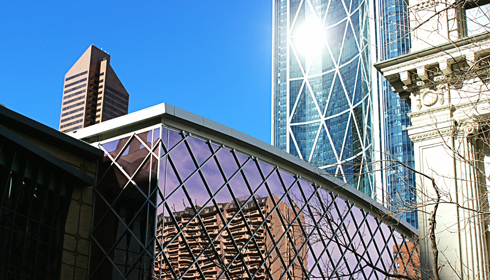 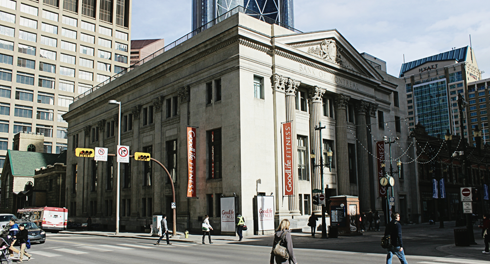 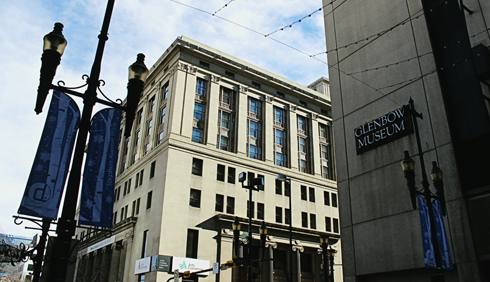 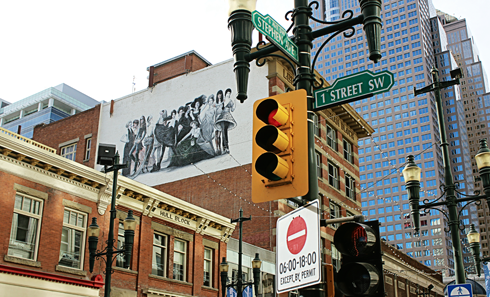 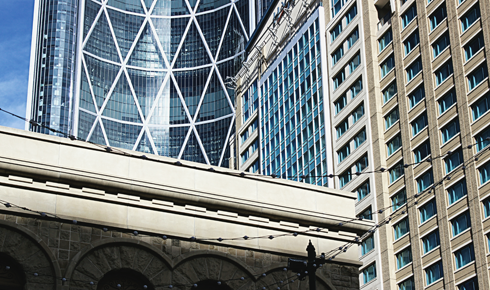 In addition to being a fun place to eat, shop, and wander in downtown Calgary, Alberta, Stephen Avenue is also a fascinating place to explore some of the early history of the city (and of Western Canada for that matter). 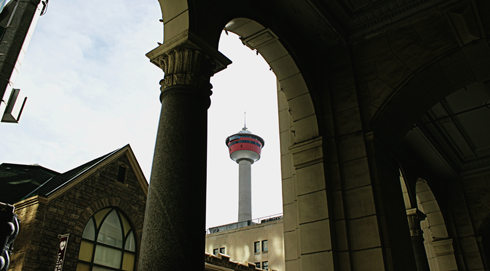 I shot several ghosting images updating archival photographs from around downtown Calgary that I also encourage you to have a look at here. 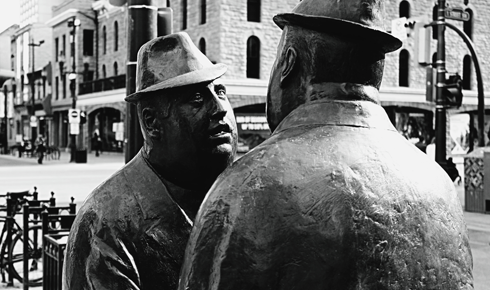 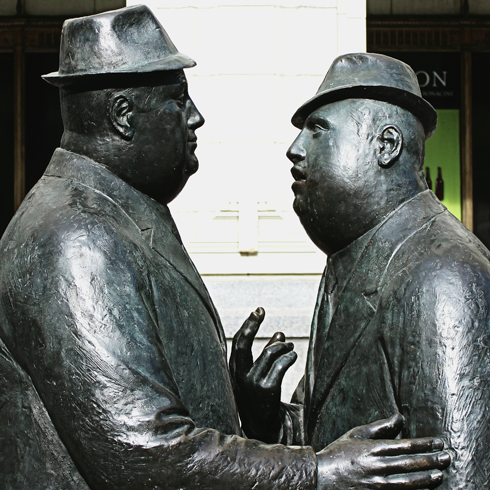 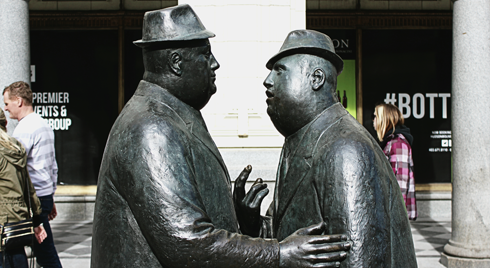 "Conversation" sculpture on Stephen Avenue in Calgary. 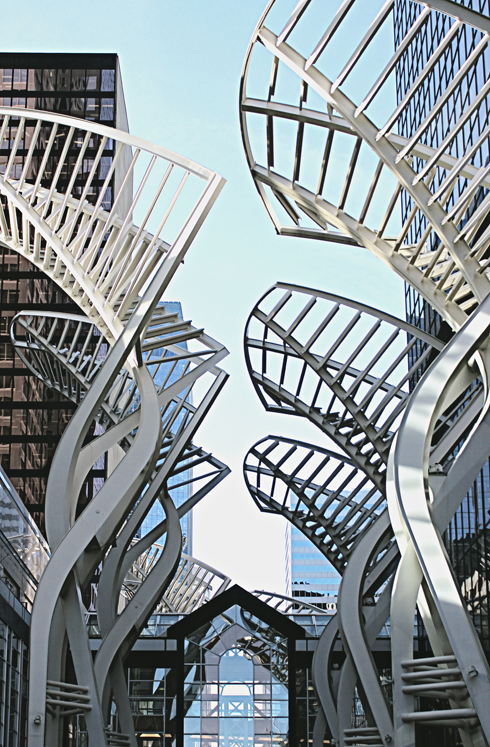 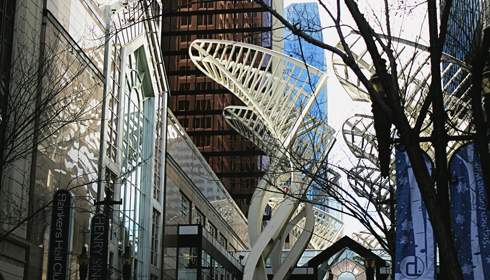 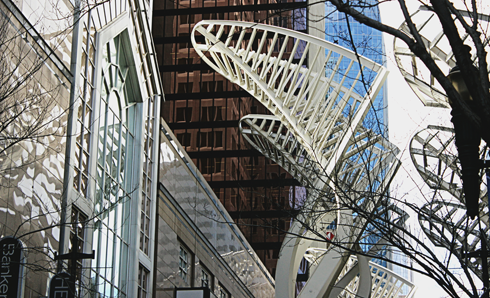 "Trees" sculpture designed to reduce wind gusts on Stephen Avenue.